1) ILTR will send you email offers of free or discounted products from their clients, Amazon Sellers. 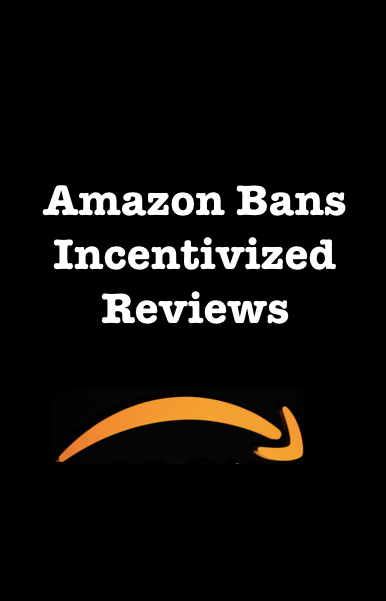 2) While you are not required to leave a product review for anything received through iLoveToReview, there are still FTC and Amazon Guidelines that you must follow should you decide to do so. 3) You can auto-unsubscribe yourself from ILTR at any time using the unsubscribe link at the bottom of all emails you will receive. You can auto-unsubscribe from the ILTR SMS announcements and updates by replying STOP to any SMS you receive. 4) In every offer there is a limited number of products available from our clients, and there is no guarantee that you will secure a product. ILTR has far more members than it has for any given product. Products are allocated on a first-to-respond basis. 5) In most cases, the products you will be offered will be available on an e-commerce website such as Amazon.com using a coupon code issued by ILTR. If you are fast enough to secure a coupon to participate in the promotion, you will be given a coupon code by ILTR which will reduce the price shown on the e-commerce site. In most cases you will still have to pay normal shipping and handling charges which will vary depending on where you live, how quickly you want your product, and in some cases whether or not you are an Amazon Prime member. There may be other variables too and ILTR makes no representations that shipping and handling charges will be free. 6) If you secure a coupon code as a result of an ILTR offer, you are not permitted to share that coupon code with any third party. Doing so may result in a lifelong ban from the ILTR community. 7) If you secure a coupon code, that coupon code is good for a maximum of one item, per household. 8) You agree that you will not resell any products you receive through ILTR for a period of three (3) years after delivery. You acknowledge that the monetary harm to our business as a result of unauthorized resale of products is impossible or unreasonably difficult to calculate, and agree that $1,500 is a fair estimation of the amount of damage caused by an unauthorized resale. Therefore, you agree to pay us $1,500 in liquidated damages for each sale by you of products received through ILTR. We also reserve the right to cancel any account of a member who we believe to be reselling products received through the service. 9) You agree to use a coupon code within 24 hours of receiving it. Failing to follow through with the purchase as you agreed to may result in a lifetime ban from the ILTR community. We understand there are occasionally issues that do come up, but if it happens repeatedly it is an issue. 10) Amazon Sellers – sellers often sign up as members to see how our service works from the member’s perspective. This is allowed. However, as a seller, you cannot claim or review any product that is even remotely considered a competitor to your own listings on Amazon. This follows Amazon TOS. Violating this policy will immediately get your member account suspended and potentially prohibit you from using our services as a seller. 11) Contacting Amazon Sellers – While you are receiving product for a discount, you still are considered an actual customer and all of our sellers want you to have an amazing experience. DO NOT contact a seller if your coupon code did not work, or if you are unhappy with an option that was offered. Contact iLoveToReview with these issues. Failure to comply will put you at risk for termination from iLoveToReview.